When a blogger want to earn from advertisement then he always search for the way to add ads in between the post & there are many ways of doing the same. You can add advertisement by manually in each blog post or edit your theme file or best and one of the easiest way you can do by using any WordPress plugin. 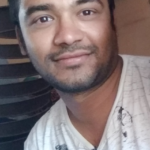 Adding advertisement at specific location in blog post surely increase more click and which result more earning.So here I am going to help you in how to add advertisement in between blog post by using plugin. If you are not aware then read how to install wordpress Plugin for reference. Advance ads is one of the best plugin which help us in complete this task, however we have lot of other plugins also like AdSense Plugin WP QUADS ,Insert Post Ads and many more. But we will show you how to use Advance ads to add advertisement in between post. Why we chooses this plugin? All above three factor is good for advance ads plugin so we recommend to use this plugin.Now follow steps to use this plugin . 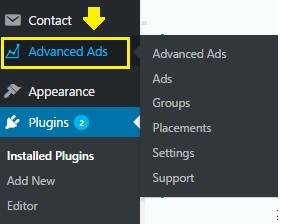 So once you install this plugin then you will see Advance Ads option in left side menu like see below. So click on Ads option under Advance ads option so once you click it then you will get option to add New Ad option as below. on next screen it will ask you name of ad so give appropriate name and click on Next. Then you can choose ads type from many given option and I am choosing AdSense ad and click on next. On next screen you need to provide Ad Slot ID or copy/paste ads code from adsense and click on next. 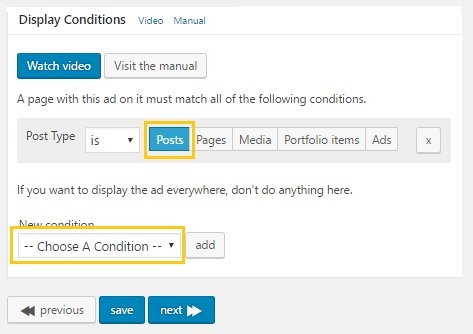 Then choose position of ad and margin around the ad and click on next. Next choose Display condition by choosing from New condition drop-down. Next select visitor condition means which device and for logged in user or not. Then click save . At last select location of ads means where you want to display ads. Some of given position is not available in free of cost so you need to pay some amount to avail that location. Once you done with selection position then save it and available to visitor to get more click. So hope you like this post and add advertisement in between post.